The faithful at Our Lady of Mount Carmel Catholic Church in Littleton, Colorado are receiving a very special gift during this Christmas season: a High Mass every day during the Octave of Our Lord’s Nativity. Eight High Masses over eight days! As stated on their website, Our Lady of Mount Carmel (OLMC) is a personal parish of the Archdiocese of Denver, erected in July 2009 to provide spiritual and pastoral care to those Catholics who desire to worship using the liturgical books in force in 1962. 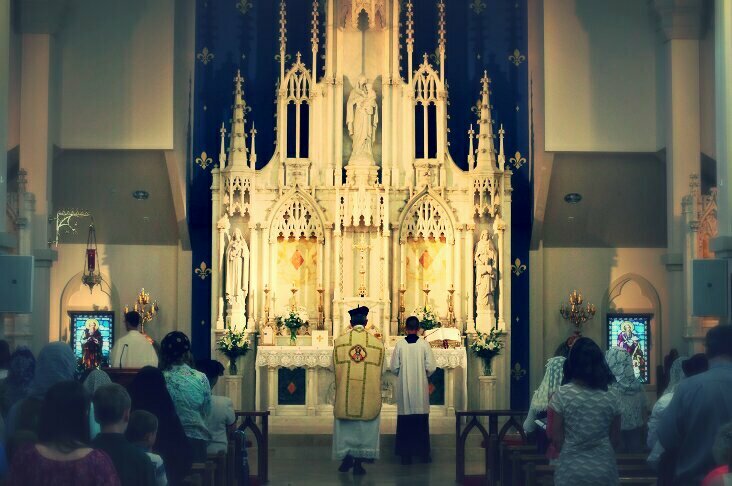 However, the Latin Mass Community itself was established thirteen years earlier on the Feast of Our Lady of Mount Carmel in 1996 by the Priestly Fraternity of St. Peter (FSSP). For those unfamiliar with the FSSP, the Fraternity was established in 1988 specifically for the formation and sanctification of priests within the framework of the Traditional Mass and for their pastoral deployment in the service of the Church. As both Dom Prosper Guéranger and Fr. Adrian Fortescue explained in their classic studies of the Roman liturgy, it is the High Mass which includes the full ceremonies of the Roman Rite and best exemplifies it. Whether we are speaking of a Missa Solemnis (in which the deacon and subdeacon assist the priest), or a Missa Cantata (in which the priest fulfills all roles within the liturgy), the Choir or Schola sings the Ordinary and Propers at a High Mass. It is this sacred music, this centuries old treasure of western civilization, that distinguishes the High Mass and elevates it to something of immense beauty. What better way to celebrate the Nativity of Our Lord, and to remind all the faithful that Christmas is a season and not just a day, than to offer this beautiful liturgy for the entire octave.